Ring News 24Boxing News Breaking Boxing NewsJoshua Against Wilder – Will it Ever Happen? 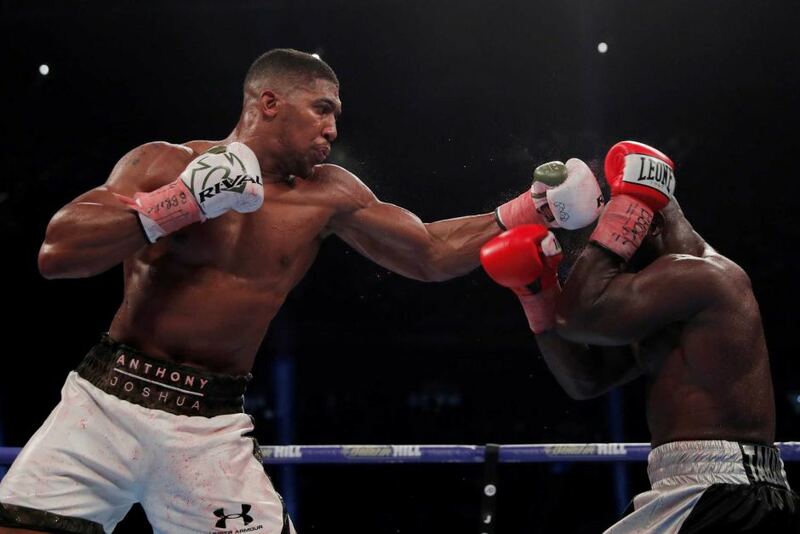 Joshua Against Wilder – Will it Ever Happen? Barbara lives in USA and tries to cover as many fights as she can – which is never enough! She has been writing about boxing since the first series of The Contender, where she interviewed the loser of each match each week, and then the winner of the final bout and has been covering boxing ever since. I think most boxing fans would like to see Anthony Joshua (20-0, 20 KOs) and Deontay Wilder (39-0, 38 KOs), go at it next year, but unfortunately we are not the ones who make that final decision. As of now it looks like the AJ’s next opponent might very well be another unbeaten fighter Joseph Parker (24-0, 18 KOs), and that would take place within the first few months of 2018. Parker also holds the WBO World heavyweight belt, and that would be another to add to the hardware in Joshua’s possession. Currently, Anthony is the holder of the IBF, WBA, and IBO heavyweight titles. The one that Joshua wants however, is the one held by Wilder, the WBC world heavyweight belt. But first, Deontay might have a second chance to face Luis Ortiz (28-0, 24 KOs). Ortiz, you will remember, was scheduled to fight Wilder in November, but Luis failed a drug test for a banned diuretic. Now however, the WBC has cleared Ortiz to fight. In fact, he just had a fight this month. Now he might face off against Wilder in March. The planets still have to align for Joshua and Wilder to face off. First, and I apologize for being so obvious, Anthony would have to beat Parker. On paper, the skilled Joshua should have no trouble doing that. Deontay would need to be victorious over Ortiz. That too should not be a huge task, but one can never dismiss the one-punch power of Luis that could match Wilder, although that is not likely. Should both of those fighters win, then hopefully all of the belts will be on the line and we will get to see Joshua and Wilder face off in that unification bout. Take a look at their statistics again. Out of 59 total fights between them, only one, a fight involving Wilder, did not end in a knockout. What kind of excitement would that lead to? Would Wilder land that fight-ending blow, or would Joshua be able to break him down and eventually get him out of there? Deontay can be wild at times, leaving himself open to get tagged, and Anthony would be happy to oblige. These can be very entertaining heavyweights, not just the lumbering, big man scenario we so often see. Both men predict a knockout victory, and why wouldn’t they? No surprise there. They also stand to make a lot of money, but the bragging rights are also worth a lot. The unification of the belts has not been done in the heavyweight division. We can only hope that the fight is made and just possibly answer some questions. Regardless, it should be good watching for as long as it might last.